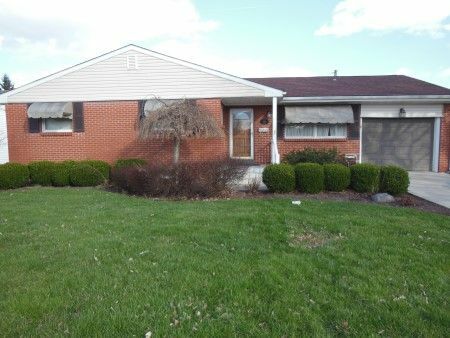 Brick 3 Bedroom, 2 Bath, One Floor Plan Home NOT Previously Listed For Sale! Fresh On the Market! This cozy, well-kept, west end, brick home offers concrete drive; attached one car garage; 3 bedrooms; 2 full baths; a lot of nice wood floors; spacious living room/dining room combo with brick face fireplace & gas insert; an eat-in kitchen; full bath with shower, all on the first floor! 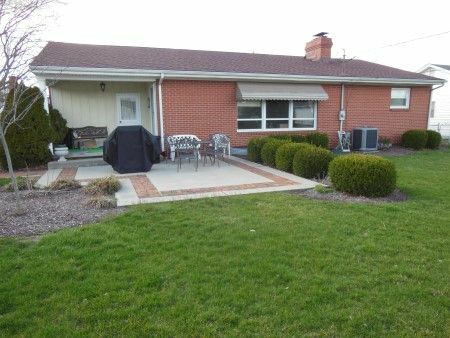 The lower level offers a large utility room with washer and dryer hookups; sitting room, full bath with shower; living room; bonus/storage room; furnace room with storage area; newer Maytag gas HE furnace and central A/C; gas hot water tank; and 200 AMP breaker box. Real Estate Terms: $5,000 down at time of sale, cash or check; balance & possession at closing on/before July 3, 2017; offered free & clear prior to closing; sold AS-IS; no buyers contingencies exist.